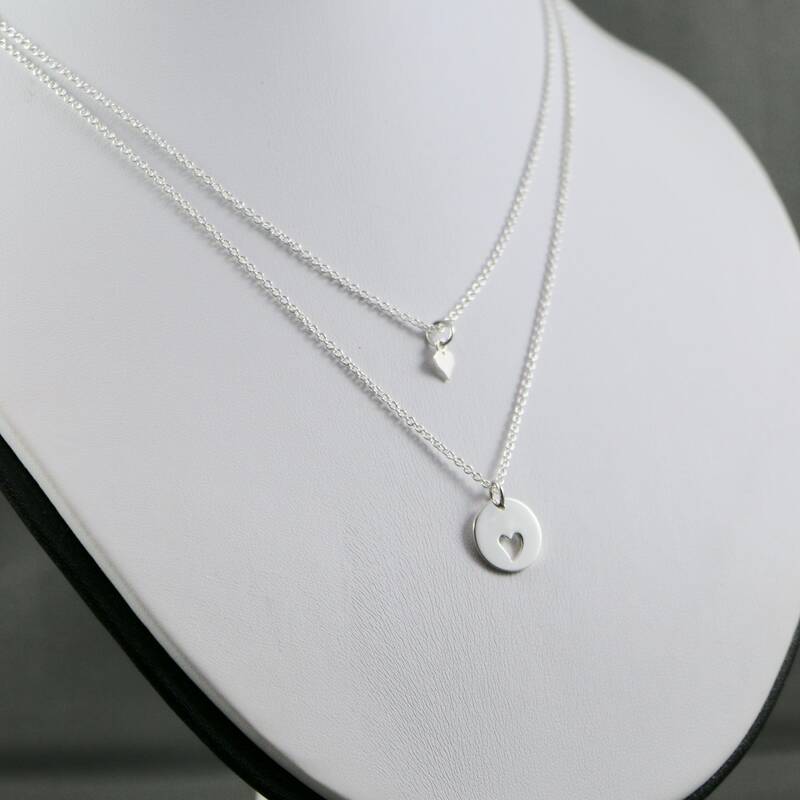 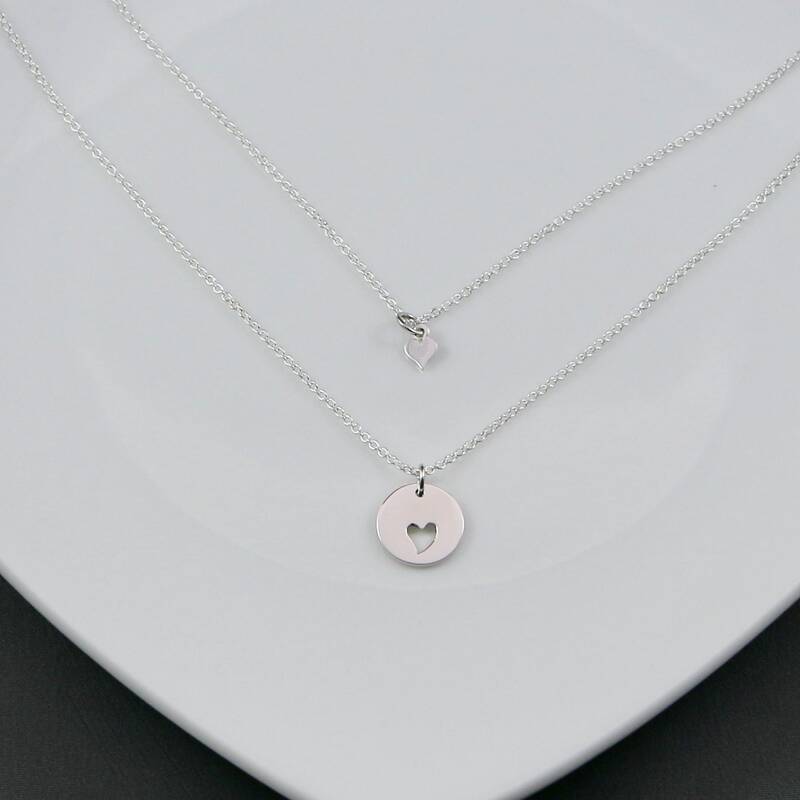 Dainty set of 2 necklaces that is an adorable gift for a mother and daughter, whether it’s for Mother’s Day, Birthday or just because! 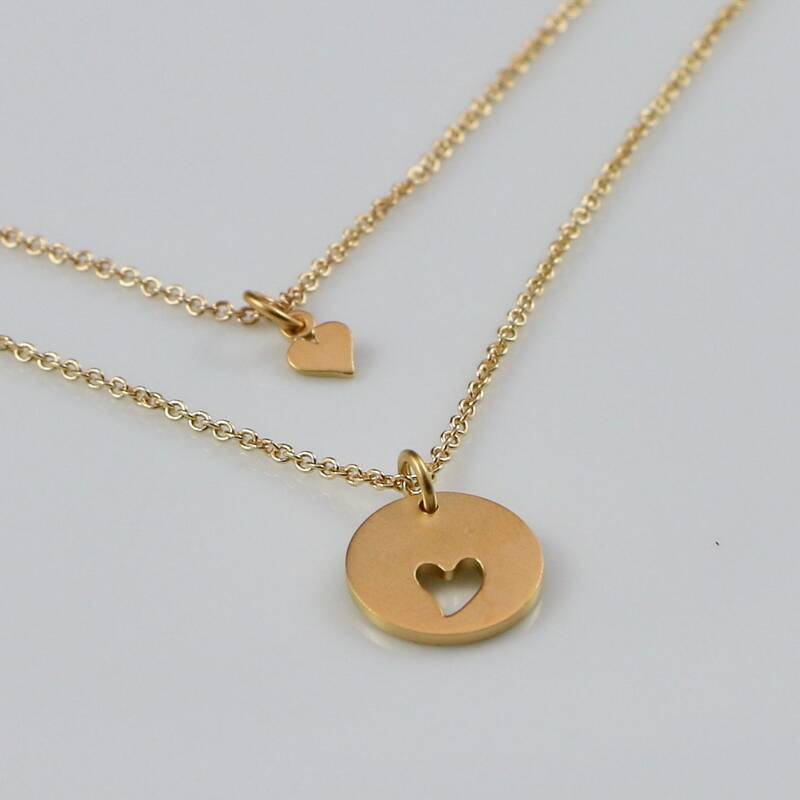 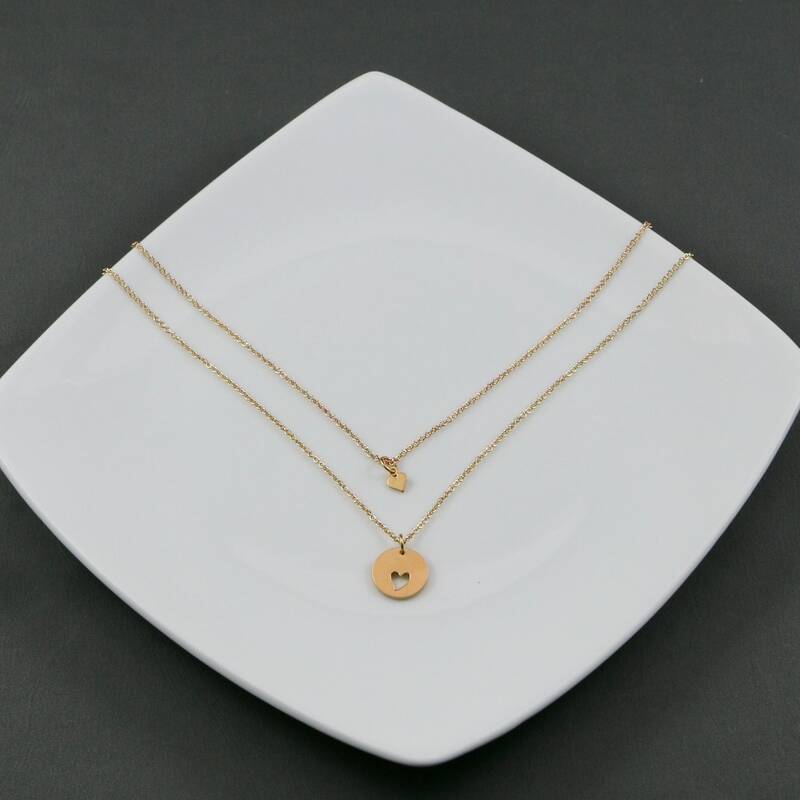 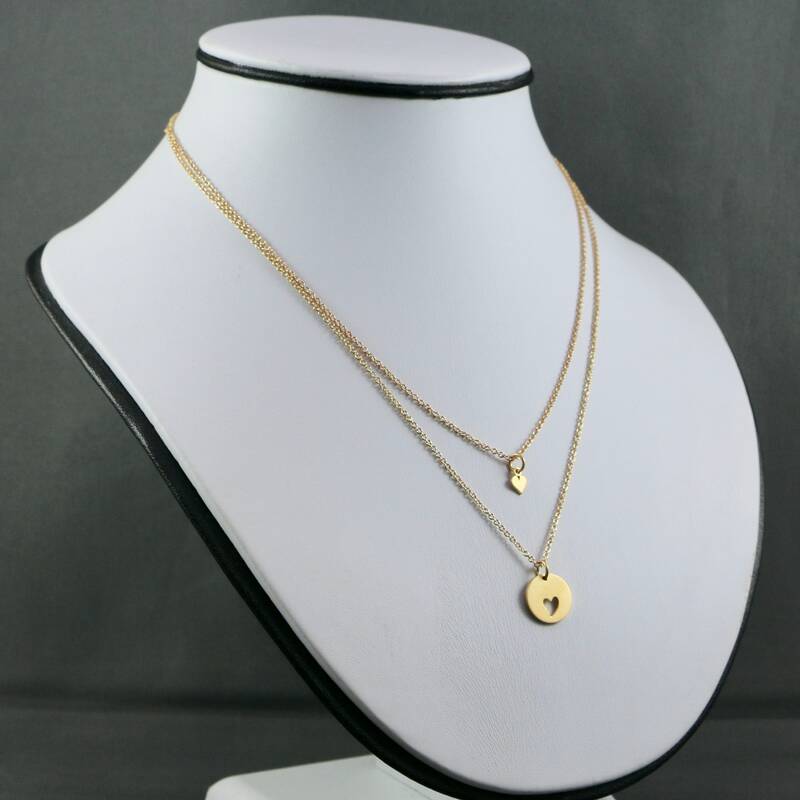 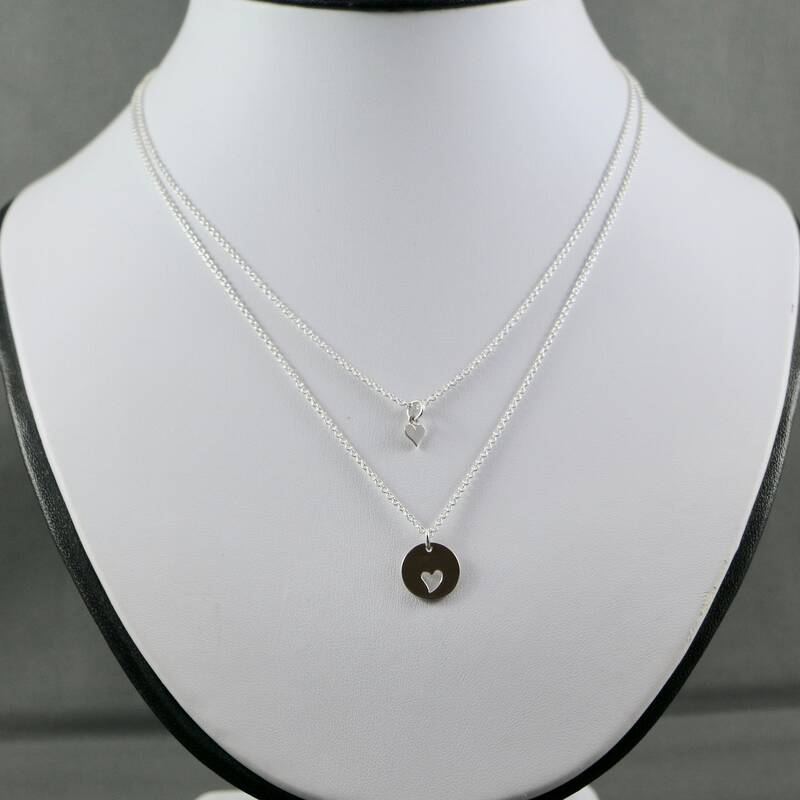 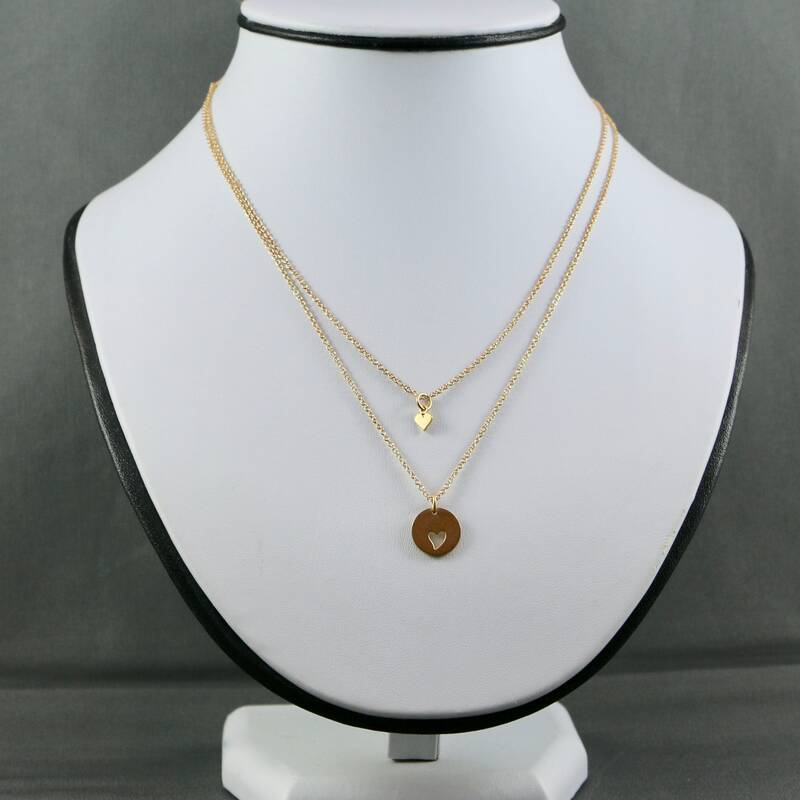 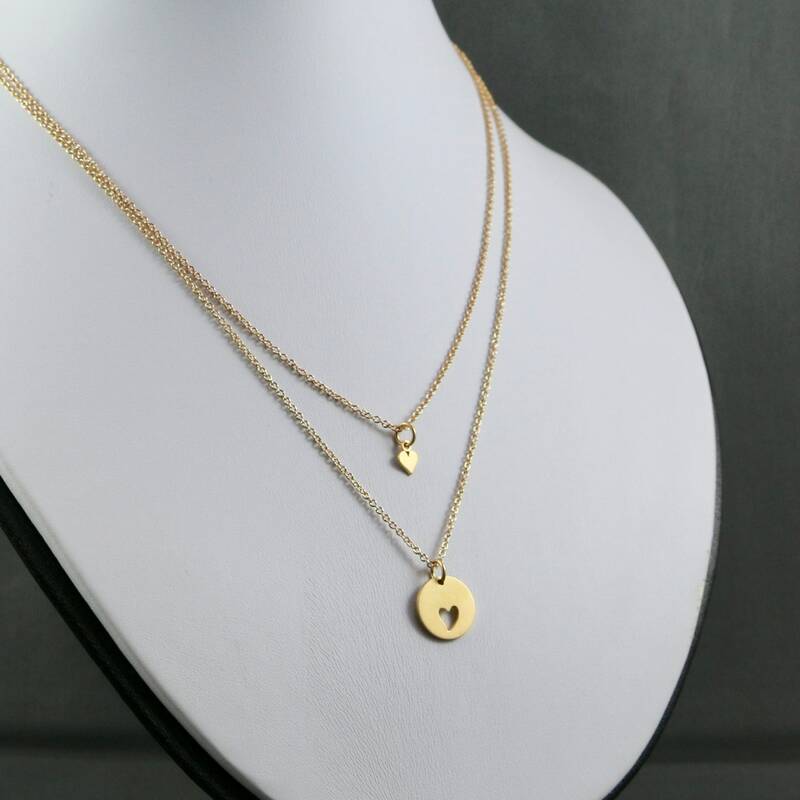 This necklace set includes either a 14kt gold-filled or sterling silver 16-18” adjustable length cable chain with a 14kt satin gold or sterling silver large round pendant with heart cut out, as well as the small heart charm and fit right in place of the heart cut out. 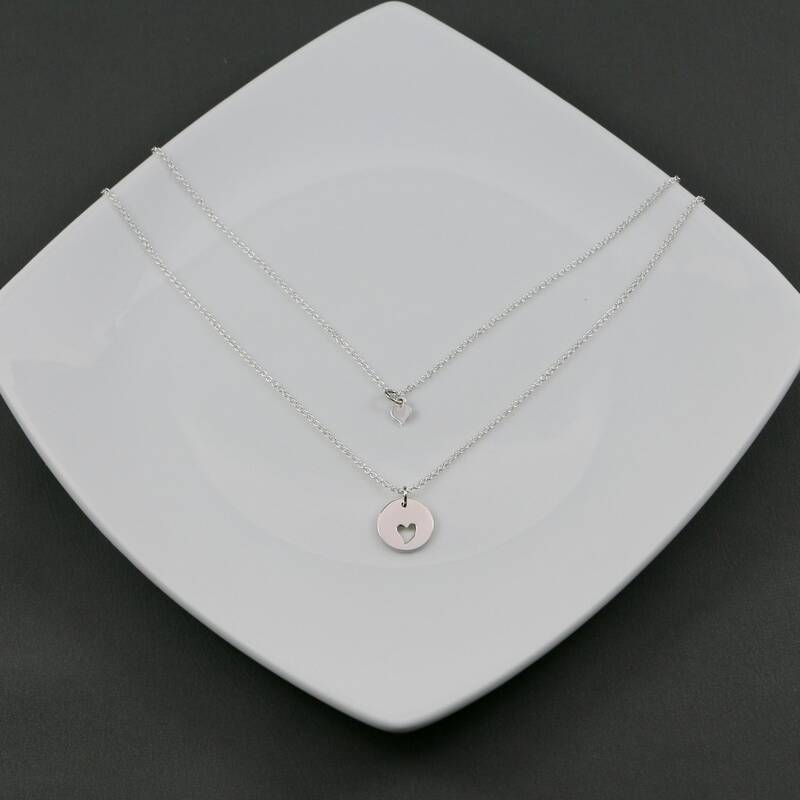 Mother Daughter Disk with Cutout Heart Set. 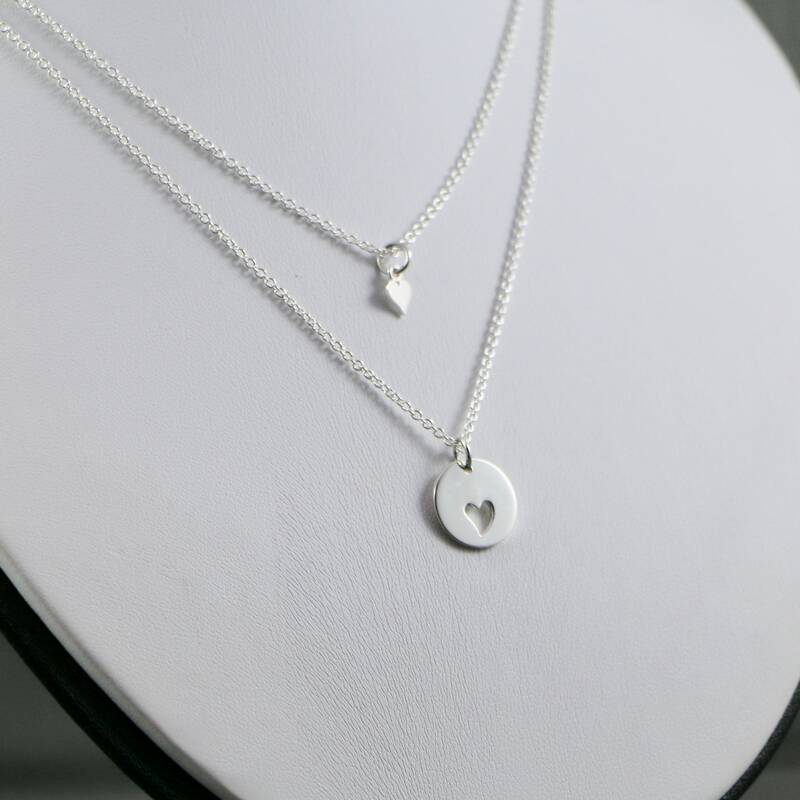 A cute way to wear and remember the love for your little (or big) one always.